Sgt. Leonard Nadeau has been with the Strafford County Department of Corrections for twelve years. Prior to becoming the Training Director in 2017, he functioned as a Shift Supervisor/ Shift Sergeant. Interviews, orientation and training of newly hired correctional officers. 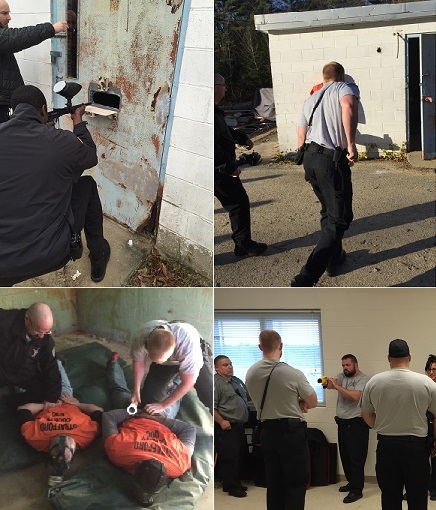 Testing and training for the facility Career Ladder Program, including the supervision of the Field Training Officer (FTO) Program. Accountability for all uniforms and equipment. Facility organization (Chain of Command). Introduction to the Direct Supervision philosophy. Introduction to Operational Guidelines and Emergency Procedures Manuals. Phase two is typically four weeks long, consisting of training on a minimum of two separate shifts and two separate FTOs. During OJT, The trainee will closely follow the FTO. The trainee will be introduced to the facility, each unit, and assigned equipment. S/he will participate in a general orientation, review officer practices, schedule of daily activities, and will be gradually introduced to new officer tasks. The FTO will act as a mentor, and performance of all probationary trainees is rated daily by their assigned FTO during this phase. Rating standards are based on established and standardized evaluation guidelines. Trainees are not expected to meet all job standards as they begin OJT however are expected to show consistent improvement throughout the Training Program to a final conclusion of proficiency. The trainee should gradually become more comfortable in his/her role as a Correctional Officer as the training progresses and should be showing initiative. Trainees must be able to meet and maintain the acceptable job standards as determined by the Training Supervisor and assigned FTOs by the end of phase 2. Upon successful completion of Phase 2, the trainee will be assigned to a standard shift with assigned and consecutive days off. Phase 3 lasts the remainder of the employee’s probationary period, and the employee is eligible for overtime at this point in their training. During this period, The FTO will continue to act as a mentor to the trainee and will assist him/her with any questions or problems that may arise. After the probationary period, opportunities to train will continue to present themselves. 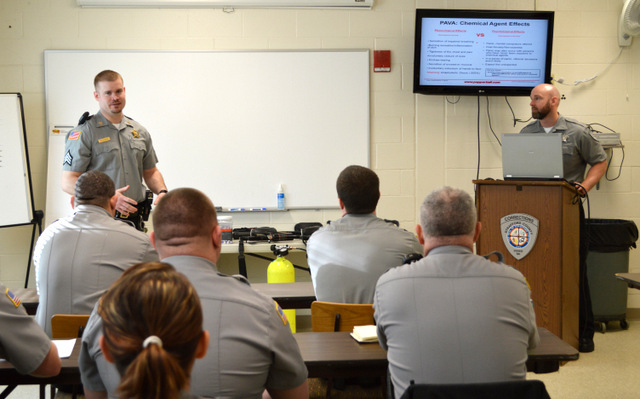 All officers are required to receive a minimum of 30 training hours each year in many topics such as Use of Force, First Aid/ CPR, Cultural Diversity, or Interpersonal Communications to name a few. Staff may choose to test for openings within our Career Ladder Program, and receive specialized training for Booking, Central Control or to become a Field Training Officer themselves. Other opportunities include membership on the facility Special Response Team (SRT) or honor guard. Staff development training is also available for employees as they are promoted into supervisory or administrative positions.